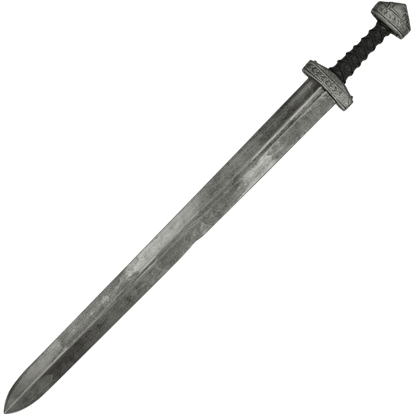 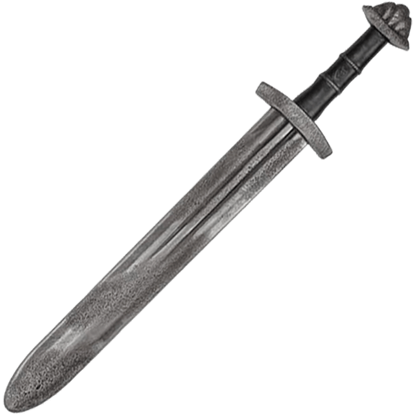 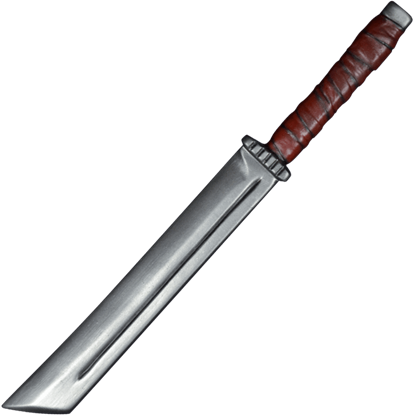 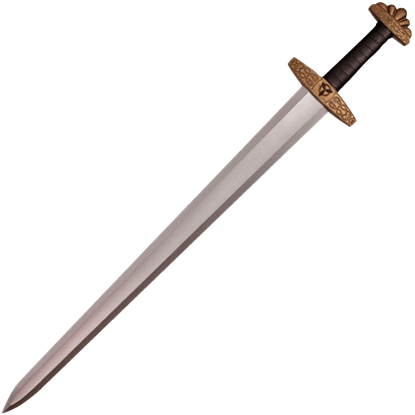 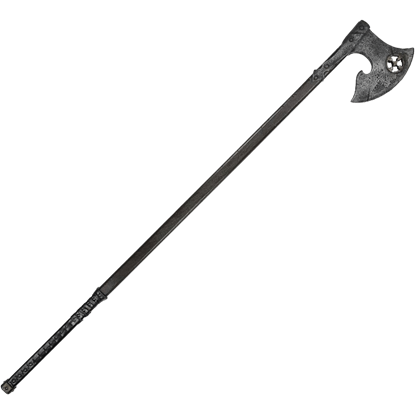 The Battle-Worn Ragnar II LARP Sword calls to mind Viking warriors returning home with weapons weathered from their adventures. 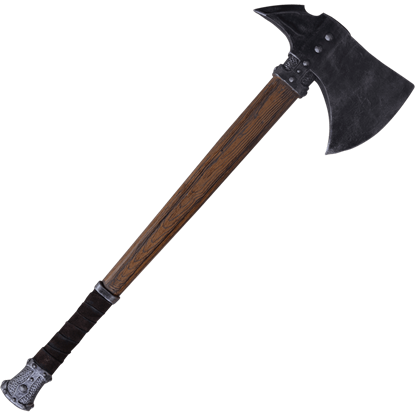 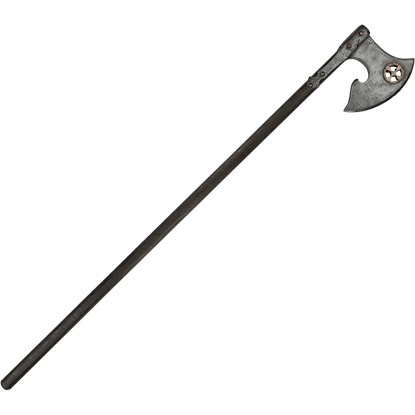 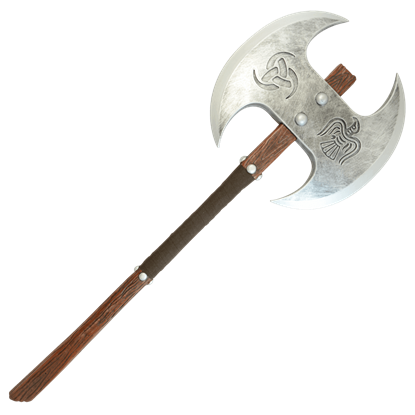 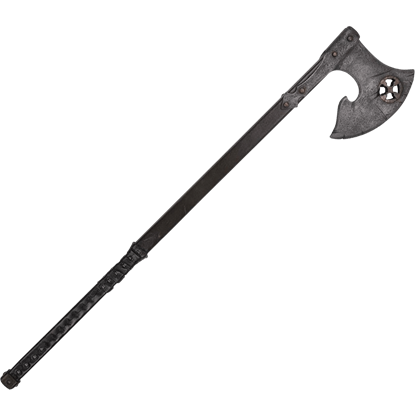 This latex-free foam weapon is hand detailed to create its realistic battle-scarred and antiqued look. 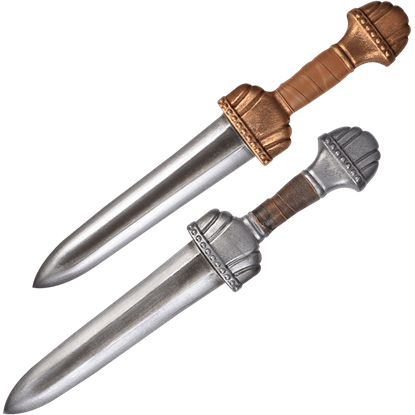 Weathered by hand to look like the weapon of an ancient Norse warrior, the Battle-Worn Viking II Short LARP Sword is a remarkable LARP blade to take into LARP combat, made of highly durable and wear-resistant Calimacil foam. 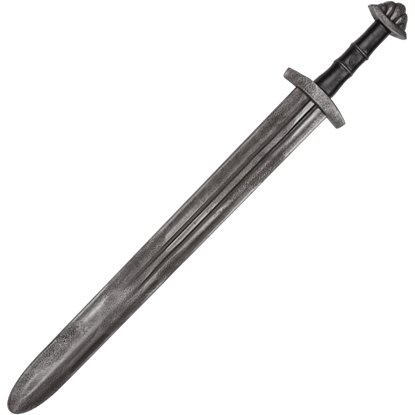 With a lobed pommel and a guard decorated with knotwork designs, this Bjorn Ironside Viking LARP Sword is fit for a brave chieftain of the Great Heathen Army. 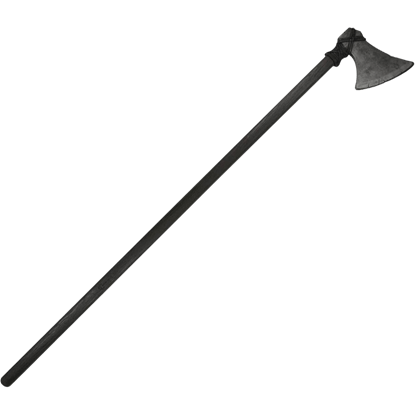 The black handle has ridges to simulate leather wrapping for a secure fit.